Anonymous has threatened Israel with “the electronic holocaust” which, the group vowed, would “erase it from cyberspace” on April 7 for “crimes” in Palestine. Anonymous planned yet another cyberattack for just over a week before Holocaust Remembrance Day. There is now just one week left until the attack, dubbed OpIsrael, that Anonymous declared in its video “message to Israel” back on March 4. The group specifically addresses the Israeli government, saying that it has not “stopped...endless human right violations” and “illegal settlements”. The video message, delivered in English with Arabic subtitles, displays images from the Gaza conflict, including those showing the air strikes on the territory during the Israel Defence Forces Operation Protective Edge last summer. Anonymous addressed the youth of Palestine, urging for it to “never give up”. “We are with you, and will continue to defend you,” the group vowed. “We always say expect us but you always fail. We are unexpected; we’ll show on 7 April 2015 what the electronic holocaust mean…” the voice says. Anonymous slated its attack just a little over a week before Holocaust Remembrance Day, known in Israel as Yom HaShoah, which is marked on April 16. Speaking to Newsweek magazine, Benjamin T. Decker, a senior intelligence analyst at Tel Aviv-based risk consultancy The Levantine Group, said that the Israeli government does not take Anonymous seriously. He has called the whole electronic holocaust threat “posturing” saying that over the four years that the group has carried out OpIsrael, hacking techniques have become more sophisticated, but there has been less damage caused. “As the years have progressed we have seen that, despite their increasing sophistication in hacking techniques, we have seen less damage against Israeli cyber-infrastructures, largely due to Israel's pioneering of most cyber-warfare tactics, both offensive and defensive,” Decker told the magazine. In April 2013 the hacktivist group claimed that a similar OpIsrael attack caused $3billion worth of damage to Israel, when it targeted over 100,000 websites, 40,000 Facebook pages, 5,000 Twitter accounts and 30,000 Israeli bank accounts. In a wave of attacks against Israeli government websites it took down “hundreds” of websites portals, including those of Mossad and the IDF. Most of the attacks were repelled within a few hours. Israel has been severely criticized for its political decisions amid the 2014 war in Gaza, which claimed the lives of more than 2,140 Palestinians – most of them civilians – and over 70 Israelis, many of whom were soldiers. The conflict ended with a truce between Israel and Hamas on August 26. 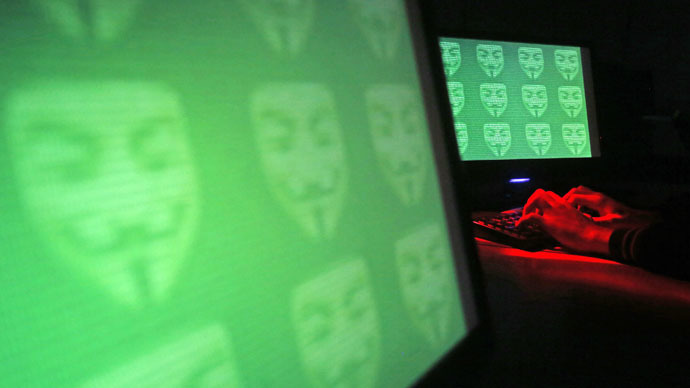 Anonymous launched its first OpIsrael cyber-attacks in November 2012 during Operation Pillar of Defense, an eight day Israeli Defense Force (IDF) incursion into the Gaza strip. Back then some 700 Israeli website suffered repeated DDOS attacks, which targeted high-profile government systems such as the Foreign Ministry, the Bank of Jerusalem, the Israeli Defense Ministry, the IDF blog, and the Israeli President’s official website. Following OpIsrael, Anonymous posted the online personal data of 5,000 Israeli officials, including names, ID numbers and personal emails.